It’s always fun to brew with friends and we believe the best beers come from the hands of people who care about their craft and understand the subtleties of ingredients. 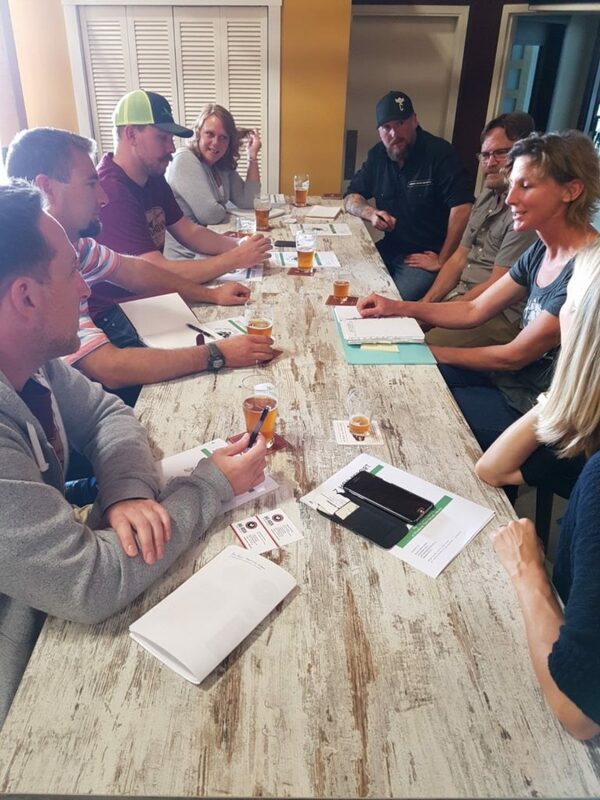 That’s why Big Rock is excited to collaborate with Northern Girls Hopyard and Common Crown Brewing Co. to brew a Limited Edition wet hop beer that will be available, later this Fall, in Alberta. 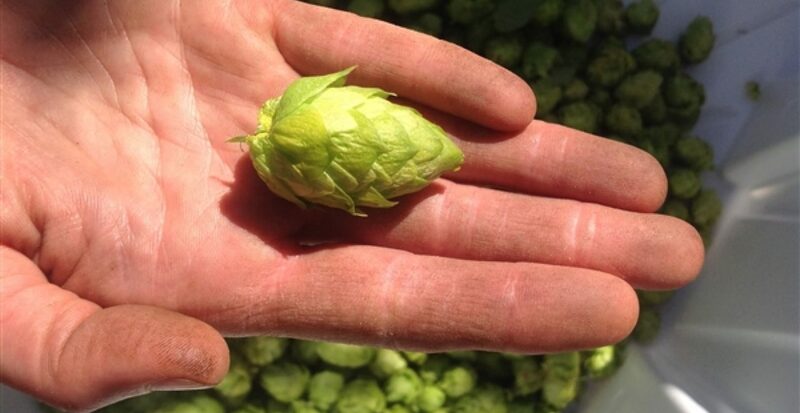 Using Cascade hops picked fresh from the hopyard, and brewed by brewers from each brewery, we’re positive we will create something that’ll tempt your taste buds! Hopyard owners Catherine Smith & Karin Smith Fargey have been quietly working away on their farm just west of Edmonton. The family started up the ‘Northern Girls Hopyard’ over 5 years ago and now, with a lot of help from a host of family and friends, the hopyard is thriving. The sisters themselves aren’t the northern girls; Northern refers to the northerly and Girls is because all the cone producing plants in the hopyard are female. 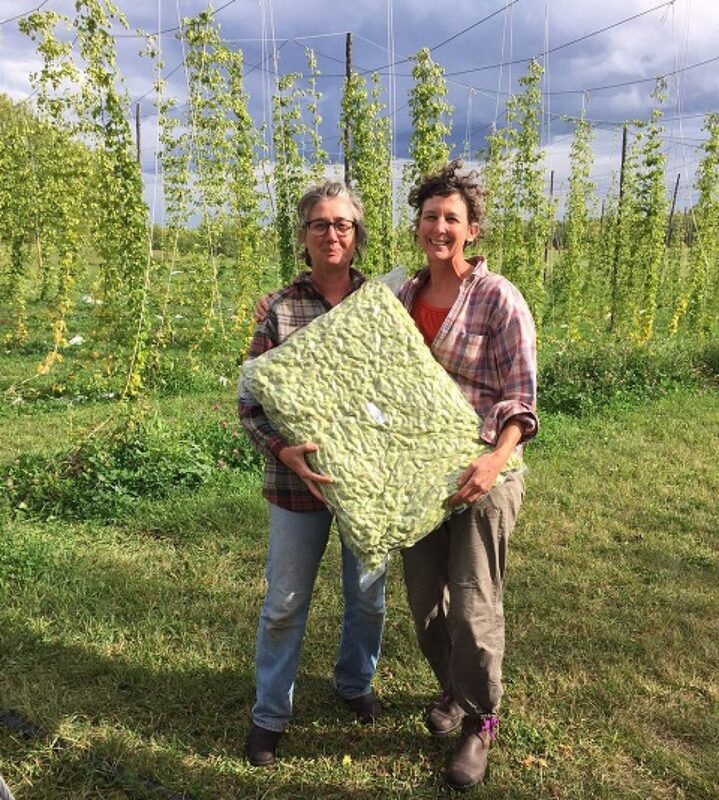 When Catherine and Karin started the hopyard, they were the most northerly and the only commercial yard in Alberta. 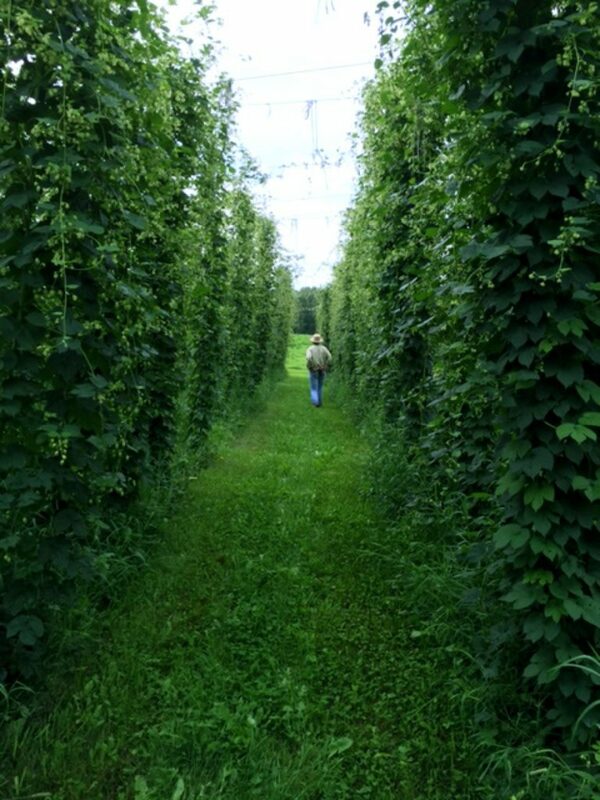 The small hopyard with big aspirations is planted in a pasture on a quarter section of Windover Farms, and home to five sustainable grown varieties: Cascade, Centennial, Fuggle, Golding, and Sterling. Big Rock and Common Crown will be heading out to harvest these wet hops in the upcoming weeks. 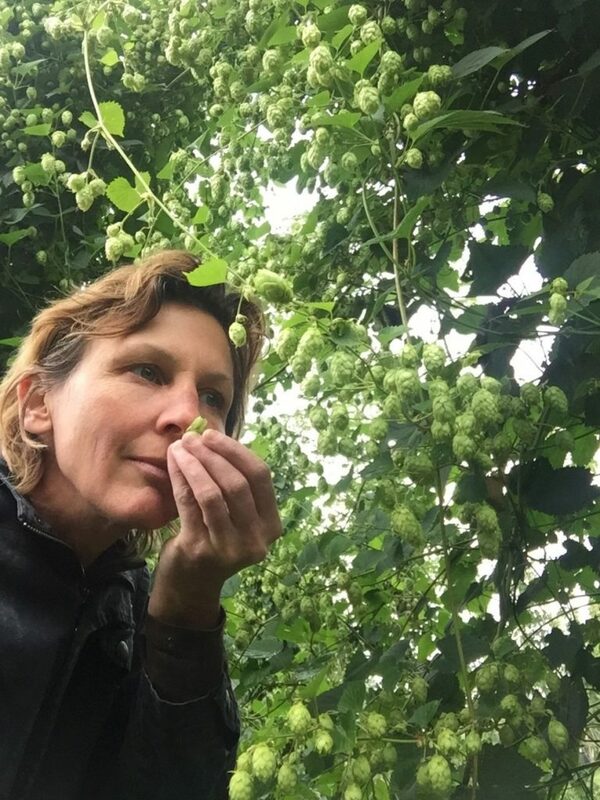 We’ll be updating the blog (and our social channels) with how the hops are coming along, and as we put our minds together on the beer recipe – we’ll be sharing more about that too in the coming weeks. Let the collaboration begin! We met earlier in the week with Common Crown and Northern Girls to decide on the style of beer and key ingredients. Packaging design is underway for a 473 ml tall can, and next up will be the harvesting of the hops between September 18th – 22nd. But, the hops are the boss of that schedule, so stay tuned! 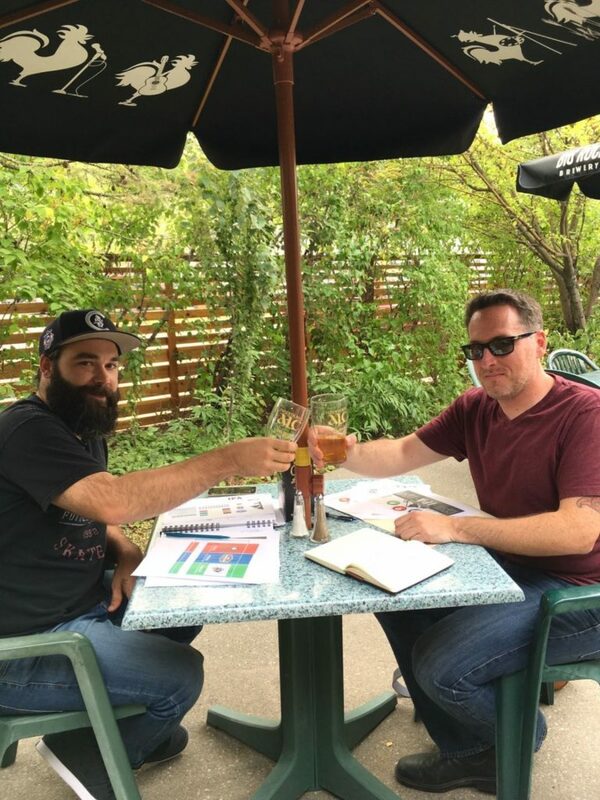 Marcus Fryia, Graphic Designer at Big Rock and Andrew Moreau, Head Beer Taster from Common Crown share a pint, along with their creativity, over lunch at The Big Rock Grill. 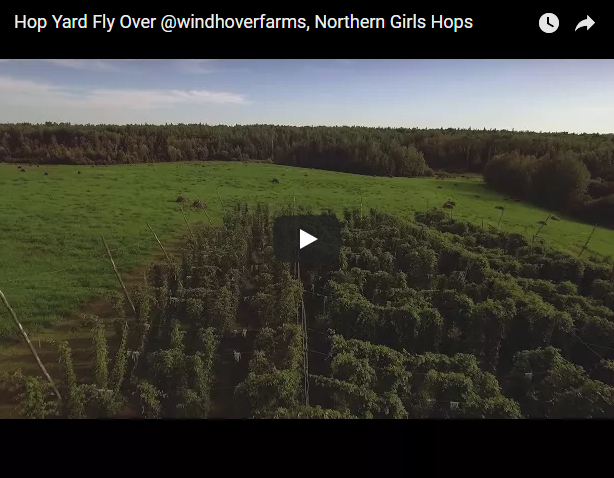 This video, shot last weekend, with other craft brewers that were up to the farm for a tour. The hops are looking beautiful and will be harvested soon!